Light Commercial / Whole House Reverse Osmosis System that produces 200 gallons per day. Wall mounted. 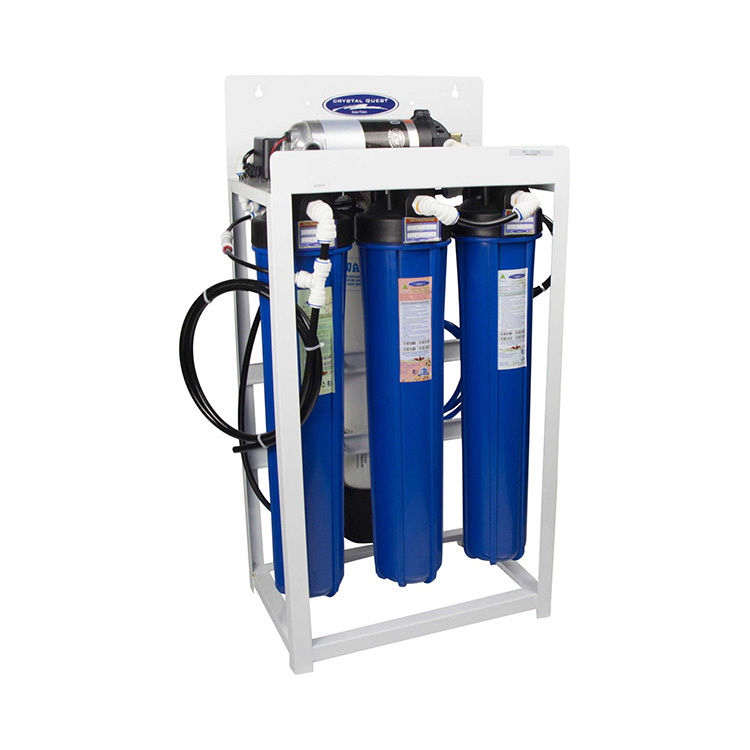 System uses One 2.5" x 14" TFC HF1 Reverse Osmosis Membrane, for maximum rejection of impurities and high flow. 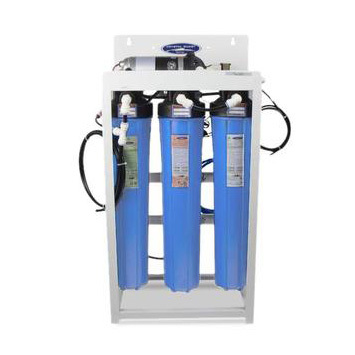 Three vertical 20"x2.5" cartridges are: Sediment Filter, Carbon Block for chlorine, odor and VOCs removal, and a 5-stage GAC / Eagle ERA filter. This Light commercial RO system is designed to be modular, requires little maintenance, and is built using commercial grade components, unlike a lot of lower cost 200 gpd RO systems on the market that use components for under sink systems and are not usually designed for commercial/whole house use. Our 200 gpd system has been carefully thought through and is designed for commercial use. 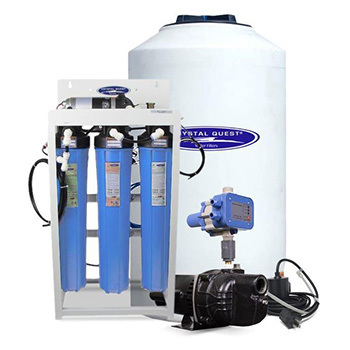 Water Tank - (165, 220, or 550 gallons storage tank) , this system of 200 gpd will come with 165 gallon tank if Storage Tank Kit is ordered. Membrane Housing: One 2.5" x 14" Champ membrane housings, Features a patented design and requires no tools for servicing. 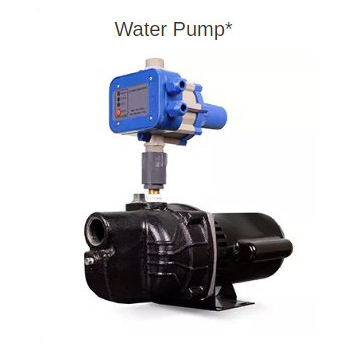 Pump: Aquatec 8800 Booster Pump, uses 110V AC. Sediment Filter: One 2.5" x 20" Big White 5 micron sediment filter, Removes sediments and protects the system. Carbon Block Filter: One 2.5" x 20" Big White 5 micron carbon block, Removes chlorine, odor, and taste from incoming feed water. GAC/ERA Filter: One 2.5" x 20" coconut shell GAC + Eagle Redox Alloy media (similar to KDF). Filter Housing: Three 2.5" x 20" double O-ring filter housings, Offers durability and improved sealing capabilities. 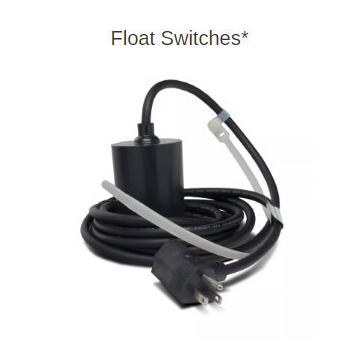 Aquatec Tank Pressure Switch, with 1/4" JG Ports, 20-40 PSI. Solenoid Valve: Aquatec 24V Solenoid Valve. Auto Flush Valve: One Aquatec Auto-Flush Valve. Weight: Standalone: 50 lbs. 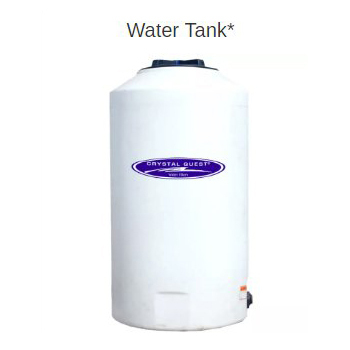 , with Storage Tank Kit: 120 lbs.